Whynot, Loretta Mae, 83, of Milton , Queens County, passed away peacefully surrounded by her loving family, December 14, 2012, in the Halifax Infirmary, QE II, Halifax. Born in Liverpool, she was the daughter of the late Floyd and Elsie (Munroe) Westhaver. Loretta can only be described as a very loving person. She worked for many years at both the K&W Bookbinding Plant and the old Metropolitan Store in Liverpool. She had a passion for her family and was well known to notoriously worry about them. She enjoyed all her family visits and her many lengthy telephone conversations. Loretta was a fantastic cook and enjoyed preparing food for her family and friends. She also enjoyed crocheting and knitting. She will be lovingly missed by her many friends as well as her “special” friends that she had for many years. She had a zest for life and when in her most tired hours she pushed herself for the love of her family and ensured us all she was going to be with her late husband Merrill and watch over us all. Loretta is survived by her daughters Linda (Philip) Dagley, Margaret (Carl) Levy, Gail (Robert) Whynot; son Stephen (Wendy); grandchildren Craig (Jennifer) Whynot, Anitra (Jeff) Stevens, Carla (Justin) Kennickell, Wade (Alyn) Dagley, Jillian (Stephen) Peverelle, Laurie-Anne (Jamie) Brown; great grandchildren Brittany, Aidan, Dawson, Casey, Jorja, Emberlee; sister Bessie Lyle, of Nanaimo, B.C. ; brothers Lawrence Westhaver, Frederick Westhaver (Gertrude Whynot), both of Liverpool. She was predeceased by her loving husband Merrill; brother Dennis; step father Tom. Our family sends prayers and condolences. Loretta was such a funny and wonderful person. Had many good laughs and talks with her during our years in NS. May God’s peace and comfort be with you all at this difficult time. Margie and family so sorry to hear of the passing of your Mom. Cherish the memories! My thoughts are with you all at this time. She was a lucky lady to have such a loving family! Linda ,Margie,Gail ,Stephen and families .I am so sorry to hear about your mother. She was a wonderful woman and she will be greatly missed. So sorry to hear about your mother Linda, she was such a nice lady, very nice to work with as well. Take care. TO LORETTA’S FAMILY – JUST TO LET YOU ALL KNOW THAT YOU ARE IN MY THOUGHTS AT THIS DIFFICULT TIME! YOUR MOM WAS AN AMAZING WOMAN AND WILL SURELY BE MISSED BY ALL THAT KNEW HER. To Loretta’s Family. For the past while Loretta has been in our thoughts. To all her family we offer our condolences and prayers. Loretta was always great to chat and laugh with. She will be missed. I am so sorry to hear about your mom, she was a wonderful , friendly, kind woman and will be missed. Remember all the good times you had with her. She is at rest now and know that we are thinking of you all. Linda, Margie, Gail and families – So very sorry to hear of your Mom’s passing. Please know that we are thinking of you all at this very difficult time. We were sorry to hear of Loretta’s passing. She was a grand lady who loved her family very much. Sorry for your loss. To Loretta’s family : I worked with Loretta at the Met and she was a wonderful, caring and humorous lady. She will be missed very much .So sorry for your loss. So sorry to hear of Loretta’s passing. She was a wonderful person, mother and grandmother. You will all miss her terribly but she will live on in all your loving memories. There is a little of her in each one of you. Our thoughts are with you. Gail & Family, Sorry to hear about your Mom, take care. Linda ,Margie,Gail ,Stephen and families .I am so sorry to hear about your mother. I have fond memories of working with Loretta at the Met.She was a wonderful lady and funny to.I will cherish my memories of her.We are thinking of you all.R.I.P. Loretta. 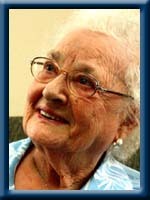 please accept our condolences on the loss of your dear mother- she will be remembered fondly by so many in the area. Very sorry to hear of your loss. Take care. Very sorry to hear of your mother’s passing.She attended many of our family get-togethers as Barb’s guest.I got to know her well and she was a wonderful person. Sorry to hear about Lorretta’s passing. You will have many great memories to forever carry you through the bad and good times. We never missed having a conversation whenever our paths crossed. whynot family ,your mom was a very special lady .sorry for your loss. All of Loretta’s family, So sorry to hear about your Mom and grandmother. We are so saddened to hear of your loss. Your mom we be greatly missed. Please accept our deepest sympathy and condolences. Pls accept our deepest sympathy at this very difficult time. Your Mom is at your Dad’s side now, walking hand in hand once again. To all the family: We are sorry to hear of your loss. Our thoughts and prayers are with you all at this sad time. Linda,Margie,Gail and Steve We are so sorry to hear of your loss.Loretta was a wonderful person.Our thoughts and prayers are with you all at this time. So sorry to hear about your mom. Our thoughts are with you. Gail and Robbie…and family. So sorry to read of your mother’s passing. Our thoughts are with you. Sorry to hear of your loss.I enjoyed working with her.I am Lottie Munroe Callahan’s grandaughter.She always had a beautiful smile. We are so sorry to hear of your Mother & Grandmother & Aunt,s passing .Thinking of you all at this sad time. God Bless you all !! Linda, Margie, Gail, and Stevie and their families. My thoughts and prayers are with you all. Your mother was a kind and loving person. She was full of life with a heart of gold. She loved you all very much and I’m sure she will still be looking over you all from heaven, so be good because she will be watching. Hugs and Kisses Peggy and Randy. our heartfelt sympathy to all of the family at this sad time. My sincere sympathies at the loss of your Mother. You have my most sincere condolences. From all the time and care I saw you sharing over the past while, I know she was very a very lucky and loved lady. To the Whynot family we were very sorry to hear about your mother. I had worked with Loretta for many years at the old Met Store and we had many laughs. She will be missed. Our deepest sympathy to you all. I was so very saddened to hear of your Mom’s Passing. What a Lovely Lady she was. I worked with your Mom for many years at the Met Store. We sure had a great many laughs. May she now rest in Peace. May God be with you all at this most difficult time in your Lives. Our deepest sympathy!!! So sorry to hear about Aunt Loretta. My thoughts and prayers are with all of you at this time..
Gail, Robbie,and Family, So sorry for for the loss of your mom, she was a very kind and loving person , who was very much young at heart, and she loved her family very much, and if there was ever anything she could do to help someone, she would do it, you were very blessed to have had a mom like her.She will be missed by all that knew her. Take Care. To Lorretta`s family I send my deepest condolences. I was a next door neighbour for a few short years. During that time I had meet both your parents. They were very kind to my family and myself. I will miss both. Though over the last few years I only got to see Lorretta a few times, she always had a smile on her face and only had good things to say. She will be missed by all. God bless. Such sad news to hear of your dear Mom’s passing, she was one of the best Mother / Grandmothers we ever knew, loved to watch her with her family around, she adored each one and they all thought the world of her and showed it. God Bless her. Dear Margie: I just loved your mother. She was so sweet to me when I was a teenager and working at the Metropolitan in Liverpool during my high school years. Loretta had such a huge smile for me, always, and was so kind and loving. Please know she is in my heart and in my prayers. God Bless all of you as I know her loss will be hard for all of you in the days to come. You are in my thoughts. To all of Loretta’s family, sorry to hear of your loss she was a very nice lady. I’ve known Loretta most of my life , she was a wonderful person. I have so many fond memories from childhood, living next door to Loretta. She was a wonderful caring person, the kind of person that just made you feel special. To Loretta’s family, my sincere condolescences. She was truly one of a kind.